“Holly!” he screamed in desperation. He looked down and noticed the blood spatters on the carpet, leading into the living room. “Oh, my God,” he exclaimed. He ran through the entire house, screaming for her. He sprinted upstairs first, to check her bed, then raced back toward the living room, hitting a light switch on the way down. He turned the corner and in stopped in shock, his face horrified at what he saw. The events of the night before were still blurry. She only remembered snapshots of police swarming around her, dinner, the game. She grabbed a pan, oil, and popcorn to fix a late-night snack, since she knew that she hadn’t eaten recently. Then she screamed. “That face!” she gasped. She dropped the bowl, which shattered loudly on the floor. Staring back at her from the window above the sink, only 2 feet from her was the face … the same face that had watched her at the hockey game, and then again at the restaurant. The face of the man that had killed Jack. Enter to Win a Copy of “Deadly Glance” at Goodreads! Deadly Glance debuts on Goodreads! We are thrilled with the outpouring of interest and support from the author and reader community. Over 360 people have connected with us in only a short time and we look forward to continuing to connect with the Goodreads community. 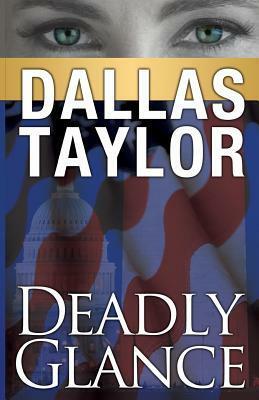 Watch for more as the trilogy continues with Deadly Trail – due out in the Spring 2015. Be sure to connect with us either on Facebook, Amazon or Goodreads. Enter to Win a Copy of “Deadly Glance” at Goodreads! Just click below to enter. “Why are you telling me this now?” Jeff asked. Victoria grabbed Jeff’s hand. Jeff looked down and held her hand for a long moment. She leaned over and kissed him on the cheek. “In a word, yes,” Stan said again with his eyes darting towards the windows and backing up against the wall by the door. This is a short excerpt from the book Deadly Glance. You can read the whole thing by purchasing a Kindle copy for just $4.99 at Amazon! Who else was in danger? Jeff nodded, and then walked to his car, parked under the bright light to the right of the parking lot. He slid into his car and powered up the Porsche. He gripped the steering wheel and took a deep breath. He could sense that things were unraveling and wondered where the threads would lead. Who else was in danger? He thought about Holly. He reached into his pocket and found his phone. He looked at the screen and decided since it was so late he’d send Holly a text. He typed slowly – <Just left police station. You ok?> – then set the phone down and headed toward home. This is an excerpt from Deadly Glance. Read the whole story by getting your copy at Amazon! I’ll be giving my book, Deadly Glance, away through Story Cartel on my blog, Twitter, and Facebook. That’s right. You can download a free copy in exchange for your honest review. I want as many of you readers as possible to enjoy the book. I am working on the second book in the trilogy and hope you’ve had a chance to read the first, Deadly Glance, by the time it’s released. So go download your free copy now at Story Cartel! I look forward to reading your reviews. She had been in some precarious positions before, and had designed some pretty amazing escapes. She’d learned from each situation, and taught herself more as time went on. The alluring but conservative persona she portrayed to the public was only one side of her character. The darker side took her deep into an unknown and seductive world of lies and betrayal. It wasn’t the money that brought her, although that was nice. It was the thrill of leading double lives. She’d found a home in the intelligence field, and had moved deeper from there into the clandestine role she played today. The risk of staying uncover for too long was the risk of being lost in the character. There were guidelines about how long to keep operatives under cover and she knew she was near that line of no return. She became addicted to the lies, and the lines began to blur. Her husband had never understood this dark pull, and hadn’t liked that she’d put her life in danger again and again. He didn’t like that she’d had to keep secrets from him, either, and it had eventually led to her divorce. This only took her further into the darkness. Al loved to watch Victoria and Stefano sweat. He needed them around a little longer, but he wasn’t about to let them know that. The police would begin an investigation, but the description of the Mustang Stefano was driving or even the license plate would be worthless. The car was a rental that Gordo had stolen from some poor tourist at their hotel parking lot during the night. By the next morning, the poor slob would report that it was stolen, but Gordo had already driven it from Austin to Dallas. The car was long gone, and the report of the stolen car wouldn’t make it here in time. This is a brief excerpt from the beginning of Chapter 21 in Deadly Glance. To find out what happens next, get the Kindle version at Amazon for only $4.99! What is “Deadly Glance” all about? Jeff Michael Walker, a successful lawyer in Dallas, Texas, finds the woman of his dreams. But she isn’t what he thinks she is, and her presence in his life spells almost immediate trouble. Her deadly glance pulls Walker deeper into a web of deception and conspiracy, while his personal life falls apart. The death of his law partner and the abduction of his good friend lead Jeff further into the middle of a potential worldwide disaster. Our story begins with Jeff, who was encouraged into retirement from life as a military intelligence officer and recruiter of clandestine spies across the globe based on a series of unfortunate close calls. Today Jeff along with former military officer Bob Wright settled in Dallas, Texas where Jeff begins law firm Walker, Wright and Turner, a law firm specializing in trade matters and governmental affairs. All three partners of Walker, Wright and Turner attended Carolina Law at University of North Carolina. Lil is the most recent addition and found her way quickly into the hearts and minds of Jeff and Bob with her shrewd business acumen and her uncanny knack for the nuances of law. After Bob begins to uncover a rather ominous connection between Washington and an organization called World One, operating quietly as a non-profit organization, the world of Walker, Wright and Turner is turned upside down. Bob gets too close leaving Jeff the only one who can expose the underground organization, World One, and save the world as he knows it. Foreign interests, lead by a man the US knows as Al Chord, have woven a deep web of influence in local and national governing bodies. As Walker digs deeper into the conspiracy, he approaches the unspeakable. Bob uncovers a secret membership list of the mysterious organization. Discovering the list, a tightly coveted and protected document from World One, lands Bob in a barrage of harassing phone calls and to his untimely death. Jeff continues Bob’s quest which brings him closer to the unspeakable truth. Jeff’s new pursuit leads him right to the top and puts him up against one of the most powerful men in the world. Al Chord is the mastermind of World One and the leader of the political infiltration of the US government and supporting entities. Jeff, haunted by the death of his partner and taunted by the glance of an exquisite woman, he drives on honor the life of his law partner and friend and to satiate his need for the truth. him right into the path of Al Chord’s plan. The end will unfold in a surprising and alluring plot. Walker meets his match, Al Chord, and the two will skillfully orchestrate a colossal battle between good and evil. May the best man win. You can get the Kindle version at Amazon for only $4.99.